It’s that time of the year where we hold on to the last humid and sweltering days of summer and move into the crisp and nippy days of fall. The humidity tends go go through the roof, dehydrating your horse, while the temperature drops at night. 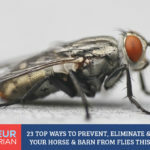 The insect population in your barn knows their time is almost up and are holding onto the remaining time they have to irritate your favorite equine. Allergies flare, impacting immune systems, and even hormone levels change with the passing season. Before you know it you show up to groom your favorite pal and almost over night, he’s got dandruff everywhere! What now? Dandruff in horses is pretty much the same as it is in humans or other animals. It is a form of Eczema that results in abrupt shedding of the skin that leads to the flaking of dead skin cells. Dandruff typically occurs in a horse’s mane and tail, but can also show up anywhere on the horse’s skin. What’s important to know about dandruff is that it’s a clear sign that something is negatively internally or externally impacting your horse’s health. 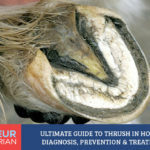 Your horse’s skin is actually his largest organ and it’s overall health and condition can be tell-tale signs or indicators of your horse’s health. There are a number of things that can cause your horse to get dandruff. In most cases, its more of an itchy annoyance that’s easily cleared up, and not a life threatening issue, but definitely not something to be ignored. It can cause your horse discomfort, which can lead to continuous rubbing and scratching that can turn into dry patches, sores, cuts and scrapes, or even the thinning of their own mane and tail. The main causes of dandruff in horses: There are many causes of dandruff in equines, many of them actually going hand in hand with one another on how they cause, trigger or exacerbate the condition. It’s been said that it appears more often in certain breeds such as Arabians and Thoroughbreds, but I have personally found that true chestnuts (not liver chestnuts), the red-headed “gingers” of the horse world are actually more prone to allergies and skin sensitivity that makes dandruff and dryness more common. Here is a list of the most common causes of horse dryness and dandruff and how to solve them! 1. Diet – Diet is a big deal when it comes to dandruff and often a solid line of defense. 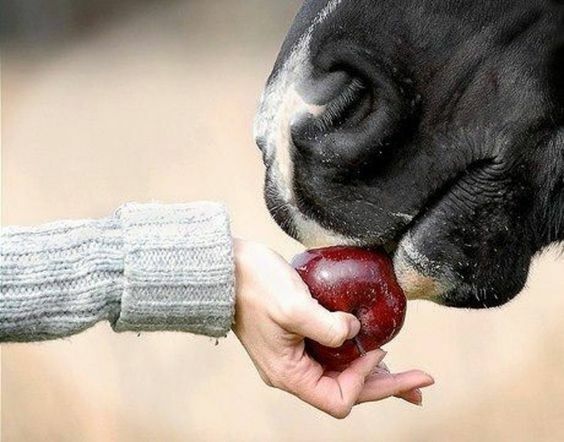 Your horse can either have allergies or issues with certain ingredients within their diet, or be lacking essential nutrition such as fat or Omega oil or important vitamins that promote the growth and maintenance of healthy coat and skin. Your horse’s skin is the shell that protects all vital organs and biological processes. When your horse’s health is off-balance on the inside, the problem can surface, literally. Solution: You need to help out your horse’s system by making sure he is getting the correct balanced diet, or in conditions where his balance is thrown of, that he’s getting the right supplements to give his system a boost at restoring its normal balance, or to aid in the rehydration, conditioning and repair of your horse’s coat and skin, as well as promoting healthy growth moving forward. The easiest way to get this in your horse’s diet is with a supplement, however, you don’t want to just start adding household ingredients to your horse’s diet without knowing what you’re giving them, how much they should have or if there are any issues you should be aware of, unless you have experience with this or speak to your vet or equine nutritionist directly. 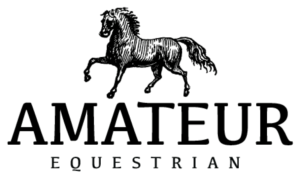 Which is why companies like SmartPak become extremely popular in the horse community. You can get supplements from SmartPak which are great because they’re already balanced and pre-measured with the appropriate serving size for your horse, so you can’t get it wrong. 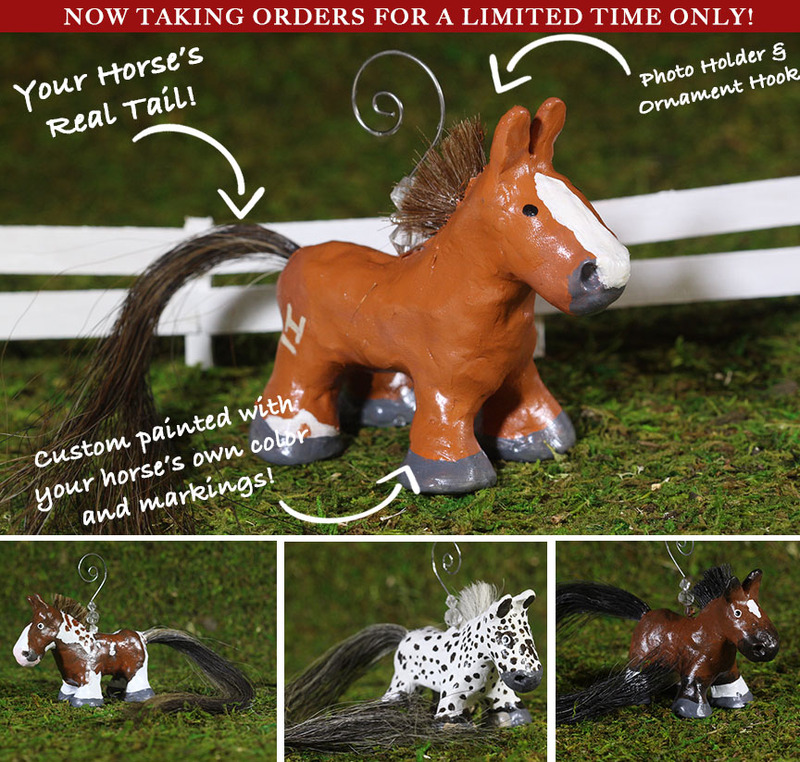 They even ship them to your house monthly, free of charge, if your horse is on a regular supplement plan. The supplements below are all geared toward promoting healthy coats, skin, healthy cell production and activity, and even a reduction of inflammation. Omega 3’s are essential fatty acids your horse needs not only for coat and skin, but even joints as well. In these prepackaged supplements you’ll find that Omega 3’s are included usually in the form flax seed, or another type of seed such as chia or sunflower, or even as fish oil. What I like about the SmartOmega 3 Ultra is that it also includes additional vitamins such as vitamin E and vitamin A which both play big roles in skin health and growth on a cellular level. The vitamin E also helps for for antioxidant support, as well as probiotics, prebiotics, and enzymes for healthy digestion which can prevent inflammation and other issues from forming in the first place. The others are good overall omega-3 supplements for dry skin prevention and general skin and coat conditioning and generation from the inside out. 2. Hormonal Changes – Anything hormonal can lead to skin issues with your horse. Even in humans, some tend to break out in acne or hives due to changes or imbalances in hormones and horses are not much different. Solution: While their are supplements and treatments you can give horses, especially mares, for hormone control and regulation, this is one you’ll have to talk to your vet about specifically. What you can do is chart out any occurrences of your horse’s dandruff including notes such as change in weather, etc and compare it to her “season” schedule. If you find a correlation it may be something to consider, speaking with a specialist. 3. Allergies – Just like humans, horses can have allergies that stay year round or come and go with the seasons. Allergies can impact the immune system and cause many skin issues. 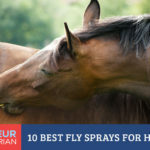 Your horse can even get allergies and allergic reactions that are specific to his skin by rolling around in his pasture in places that have plants or elements that can cause surface irritation. Solution: There are many things to look into regarding allergies and horses. Sometimes they can have general seasonal allergies just like everyone else and have an outbreak during pollen peaks, or they can be allergic to something specific such as plants or other environmental elements, and even the type of bedding you use in their stall. However, sometimes the allergies can actually be internal, from a food source that your horse may be allergic to such as certain types of hay, treats or even feed ingredients. While found in many feeds, it’s actually quite common for horses to be allergic to common foods such as corn. 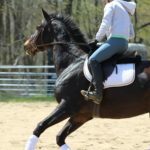 The allergy may go unnoticed in general when ingested in small amounts in their daily feed, but when eaten in larger quantities, such as giving your horse an entire ear of corn as a sweet, seasonal treat, could trigger a noticeable allergic reaction from dryness, dandruff and even hives. Keep close watch on the occurrence of dry skin and dandruff in regard to pollen levels, changes in weather, changes in your horse’s bedding as well as other environmental influencers. Do the same thing in regard to what your horse is eating, especially if you make any changes to their normal diet. Even an initial change in feed or hay from what your horse was used to could trigger a reaction in your horse until he or she adjusts to the food. When acclimating your horse to a new food source, do it slowly, adding a little bit at a time until your horse gets used to it. Don’t forget to also put a pin on the days you’ve given your horse a special treat that he’s not used to having, so you can refer back if any reaction occurs. There are medications that a vet can give you for your horse’s allergies, and at times they may even recommend an over the counter antihistamine such as Benadryl to both work as a treatment and even a preventative if you know your horse’s skin issues are allergy related. Always consult your vet before administering any medication to your horse. 4. Immune System – A weakened immune system taxes your horse’s body, leaving it unable to properly and efficiently perform at a cellular level. A horse’s immune system can be affected by allergies, as stated previously, by stress, or by an infection. Solution: Paying attention to your horse’s overall health both mental and physical is the only way to pick up on an issue caused by your horse’s weakened immune system. If dandruff or dryness occurs during a time period that your horse is sick, definitely take note. Any current illness can weaken an immune system, lowering the body’s internal defense system and trigger a reaction. Stress is another factor that can greatly impact your horse’s immune system, and even their hormones internal chemical balance. Being overworked or in a situation where a horse is asked to perform strenuous activity or overexert themselves, especially for an extended period of time can weaken an immune system. Changes in environment, lifestyle and surroundings can also impact your horse’s stress level. A calm and relaxed horse is a happy one. By keeping your horse’s mind sound and his stress levels low, you reduce or eliminate occurrences of triggers that can create or contribute to health issues. SmartPak also offers supplements that help boost your horse’s immune system as well. 5. Weather – Weather tends to be another major cause for dandruff in horses due to it’s ability to kick up allergies, increase skin dryness, and dehydrate your horse. With increased humidity, your horse sweats more, causing major water loss. If not replenished, it can definitely lead to dry and unhappy hair and skin. Hot temperatures or even cold ones can cause moisture to evaporate from the skin’s surface. Even wind and winter elements can cause the hair and skin to become extremely irritated, causing chapping and flaking. Solution: Keep your horse’s coat properly conditioned and protected from the elements. Horse blankets do a great job to help protect horse’s skin and coat from cold weather and wind that can lead to over-drying and chaffing. If your horse simply refuses to keep a blanket on, bringing your horse inside at night is another way to help keep him safe from the elements. If you don’t have access to a stall, or your horse has pasture board, a run-in shed is a must to keep him dry, protected and away from unruly or harmful weather. 6. Over Bathing – Closely related to weather issues, the more your horse sweats the more horse owners will hose them down or completely bath them. The constant wet to dry can cause irritation, especially when your horse is rolling around in his favorite dirt patch. While your horse’s skin works hard to protect your horse’s body, your horse’s body excretes natural oils that work in return, to help protect your horse’s skin. The oils keep the hair and skin conditioned and hydrated and repellant of nature’s elements. While hosing your horse down with water may seem like you’re “hydrating” his skin, the chemical properties of water actually increase it’s dryness. Add your favorite equine shampoo, soap or body wash, and you are striping your horse of it’s own hydrating and moisturizing natural oils, faster than his body can replenish them. The build-up of products in your horse’s coat can also be a big culprit. The result… dry, flakey skin and hair. Solution: While you may want to keep your horse show ready and super clean, trust me, you do him more justice by not over-bathing. In the summer it happens more often as horses leave their workouts a sweaty mess and get hosed down. Both hosing down a horse and giving him an actual “bath” including soap or other cleaning products and astringents can strip natural oils and dry out your horse’s coat and skin, the use of products tends to be a much bigger culprit than a simple spray down with the hose or sponge bath to remove the sweat marks. If you are going to give your horse a bath with products we recommend not doing it more than 2 times a month to give your horse’s skin and hair time to replenish it’s natural oil. The use of mild products that don’t contain soap or harsh chemicals will definitely help. There are also some great products on the market specifically for treating dry skin and dandruff. Even a bottle of Head & Shoulders can cure a quick case of dandruff. Keep an eye on the frequency of baths vs your horse’s activity level and the weather, temperature and elements. All will help to improve the way you can prevent occurrences in the future or better understand what may be causing it and make the proper changes. 6. 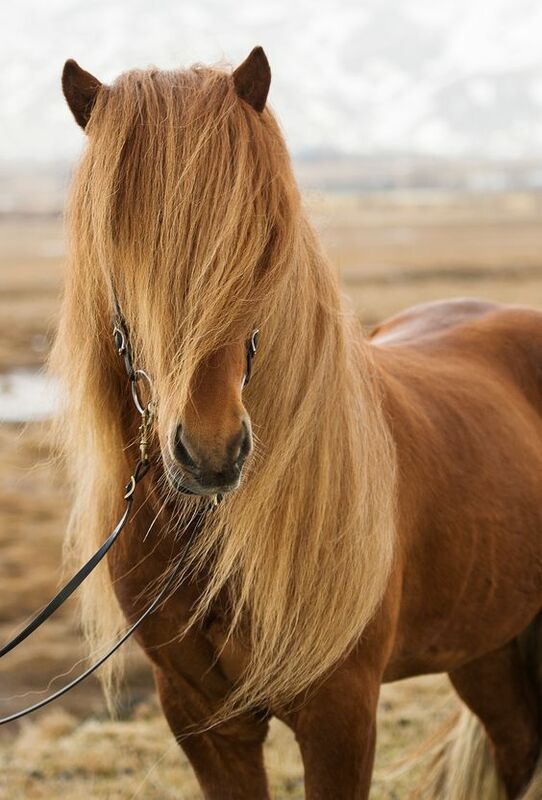 Poor Grooming – I know he’s just going to run right out into the field and roll in the biggest dirt pile he can find, but you’ve still got to groom your beloved equine pal well and often. The lack of proper grooming can lead to both a build up of dirt, hair, dead skin cells, and even turn into bigger issues such as mold, fungus or rain rot all of which can contribute to dry skin and dandruff. Solution: Couldn’t be simpler. Groom your horse. The health of your horse’s coat and skin rely on you. Curry combs and shedding blades are excellent ways to exfoliate dead skin, and remove loose hair and dirt from your horse. Curry combs and mane and tail brushes not only work amazingly to help eliminate hair, dirt and buildup, they also help to stimulate blood circulation in your horse’s coat, mane or tail that works to encourage healthy hair growth. Groom your horse twice as much when you go into both shedding and winter coat season to keep your horse’s coat healthy and looking fantastic. If you do find that your horse has developed dandruff grooming to exfoliate and remove the dead skin, along with a treatment such as a medicated shampooing and thorough rinse is essential. Also, keep your horse’s brushes clean. The buildup of grime, dirt, hair, skin cells and other contaminants or allergens on your horse’s brushes can just contribute to overall irritation of your horse’s coat, mane/tail and skin. 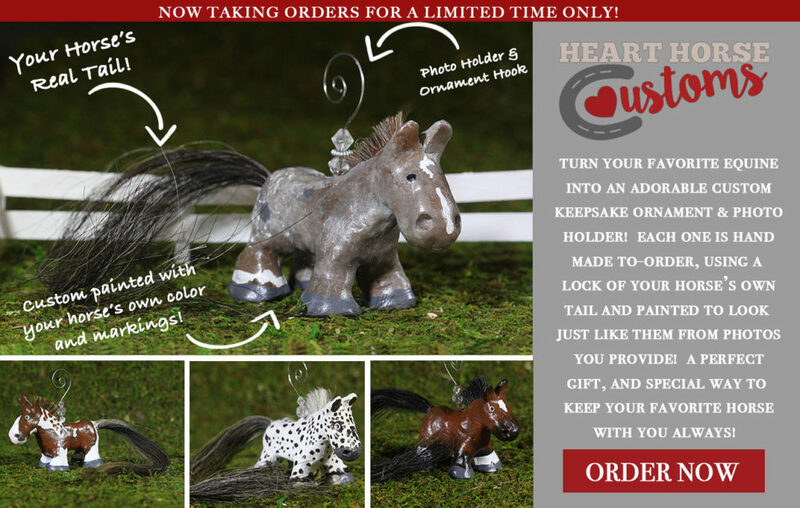 This is one of my personal favorite tools for eliminating loose hair on your horse. Oyster’s Soft Curry – The bristles are smaller and softer and longer than a traditional curry – and it can even be used on your horse’s face, legs and belly. As far as medicated products for bathing and preventing and relieving dryness you’ll want to look for products like this. The shampoo, Banixx, is used to bath your horse. It contains no parabens, sulfates, and is soap free, and contains no alcohol or steroids or other irritants that can bother or dry out your horse’s skin. The Hair Moisturizer is actually a leave-in moisturizer that helps to control dandruff with daily use and replenish and lock in your horse’s mane, tail and skin’s essential oils. To learn more about them click on the images. 7. Poor fitting Equipment – Any piece of tack, or item that your horse wears that doesn’t fit properly can rub, chafe or cause irritation to your horse’s skin. Halters, winter blankets, bridles, and girths can be notorious offenders. 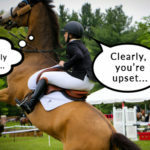 What’s worse is that your horse will find ways to relieve his itchiness and actually contribute to the issue even more. Solution: Just keep an eye on the condition and fit of your horse’s tack, blankets and other clothing items to ensure proper fit and address any issues that may be causing irritation to your horse as they occur. Dandruff is also an indication that something may not be fitting well or is bothering your horse regarding equipment so definitely do not ignore it. 8. Infestation – One cause you hope you never have to deal with is an infestation problem in your horse’s mane or tail. Mites, fleas, ticks and other pests can set up camp on your horse’s neck and cause skin issues that result in dandruff. Solution: Medicated treatments and washes as well as simple removal are needed to help eliminate these types of pests. Don’t share your horse’s brushes with other horses or you’ll end up with a herd of mite infested, flaky equines. Talk to your vet about the issue and check to see what over the counter products may be available at your local tack store to help evict your horse’s unwanted tenants. After assessment and removal or prevention of what may be causing your horse’s dandruff, you also need to treat the dryness and dandruff at hand. Grooming your horse well is your first step to the removal of the dead skin cells on your horse’s coat or main and tail. Brush vigorously without irritating your horse further to loosen it up for removal. Then give your horse a nice, soothing treatment with a dandruff specific shampoo. Lather it up and rub the shampoo in thoroughly, especially at the base of the mane where it most commonly occurs and let it sit as directed so it can work it’s magic. Rinse thoroughly removing as much product and dead skin as possible. If your horse’s dandruff is especially bad, you may want to lather, rinse and repeat. There are certain medicated shampoos and treatments that can be used to treat dandruff that are medicated, safe and designed specifically for horses, but over the counter products can work well too including good old “Head and Shoulders”. Other products are good for prevention as well such as skin and coat conditioners or natural products and supplements that can replenish moisture and encourage repair and healthy growth such as vitamin E.
After your horse’s bath, with newly cleaned and decontaminated brushes, give your horse one more grooming to remove any left over skin cells, hair, or even product build up. At this time you could apply a coat conditioner or moisturizer, as well as a toner or other topical to restore balance and softness back to your horse’s hair and skin.